So in our notation is used to represent concatenation. position. Note that in our case, we use the big-endian convention of ordering bytes. However, within each byte itself, the ordering of the bits is little endian. The FALCON-A processor has fixed-length instructions, each 16 bits (2 bytes) long. various fields in these instructions formats follows. constant (or immediate operand) field. and divide (mul & div) instructions as well. 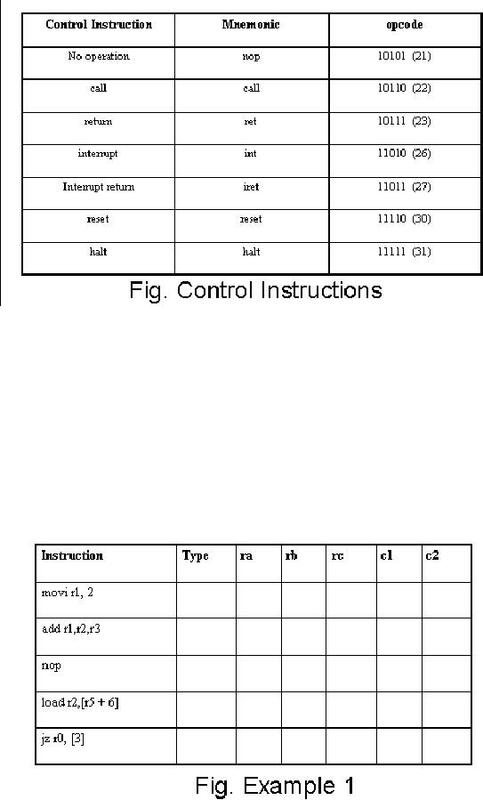 which instructions belong to what instruction format types. pipelining later in the course. code, the rest of the bits are unused. There are nine FALCON-A instructions that belong to this type. These are listed below. control, the program counter is assigned the contents of the register. 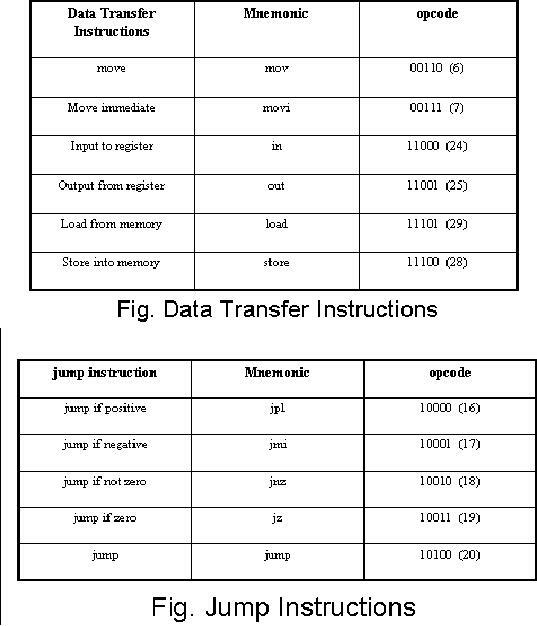 jump(value) specified in the instruction. in the field ra is checked, and if it is positive, the jump is taken. variable, a label or an address (that holds the value by which the PC is to be advanced). instruction. In its usage, we follow the label by a colon `:' before the instruction itself. (relative to the current position of program control, i.e. the value in the program counter). 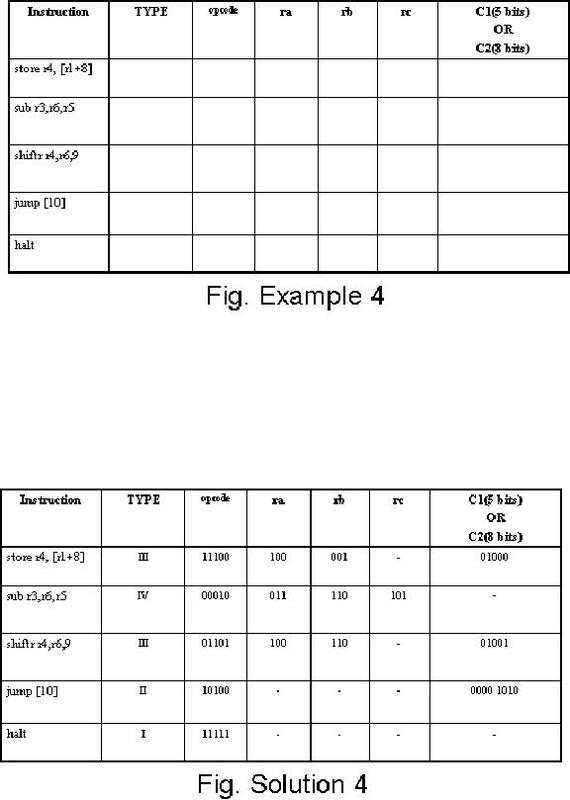 The c2 field may be a constant, variable, an address or a label. A direct jump is specified by a PC-label. An indirect jump is implemented by using the C2 field as a variable. cells together make an instruction. thus obtained to the register R, as given . source register, and store to the destination register. An example follows. following instruction is an example. assigned to the register r4. assign the result to the register r1. 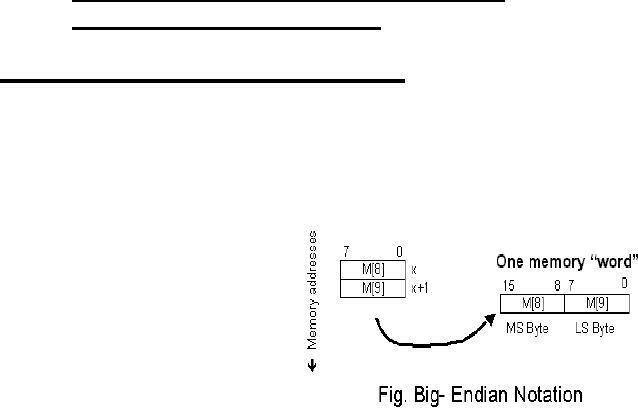 This instruction is to store a value in the register to a particular memory location. corresponds to the sum of the constant 13 and the value stored in the register r7. Type III instructions, the field c1 is unused. copied to the register r4. register r2 are inverted and assigned to register r4. Counter into the register r4 and assigns the new value to the PC from register r3. 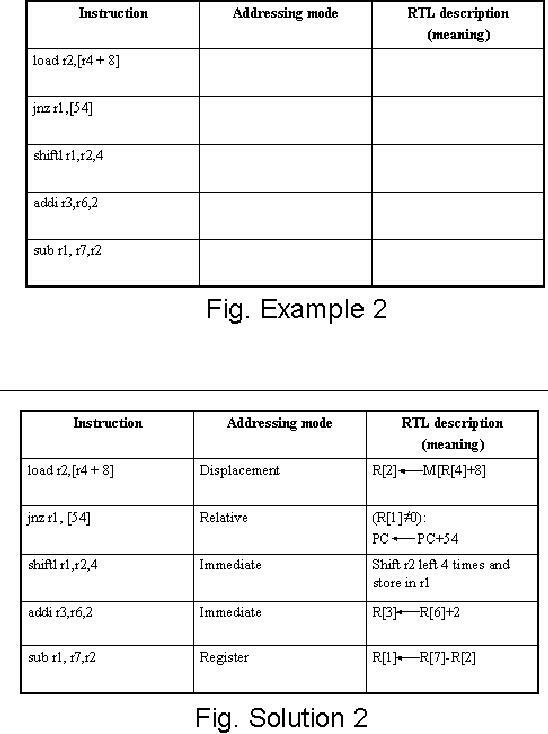 register r4 and r5 are bit-wise `anded' and the result is assigned to the register r1. the instructions that perform similar class of operations have been listed together. 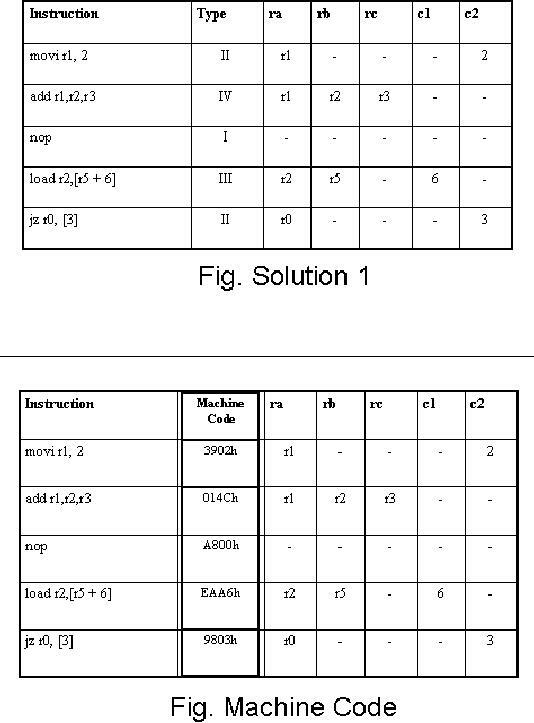 In this section we take up a few sample problems related to the FALCON-A processor. well as the fields, have already been discussed in the preceding sections. 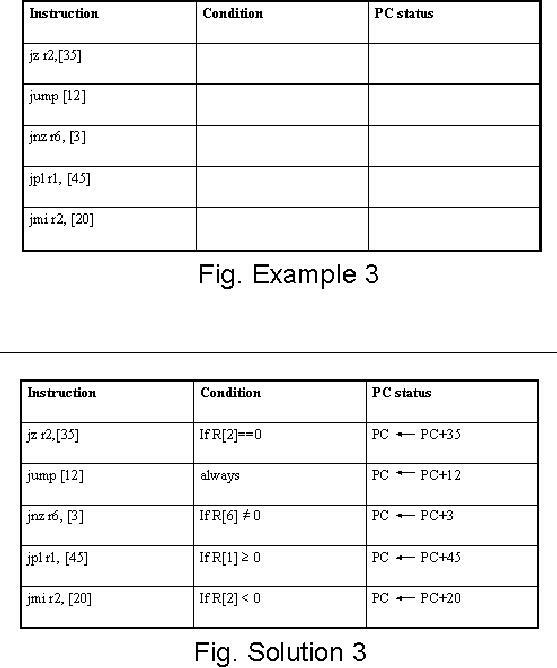 hexadecimal representation) is given for these instructions in the given table. access. These objects may be constants and registers, in addition to memory locations. that knowledge, this problem can be solved easily. converted to binary, as shown.